Get a functional unisex lab coat at an unbeatable value. 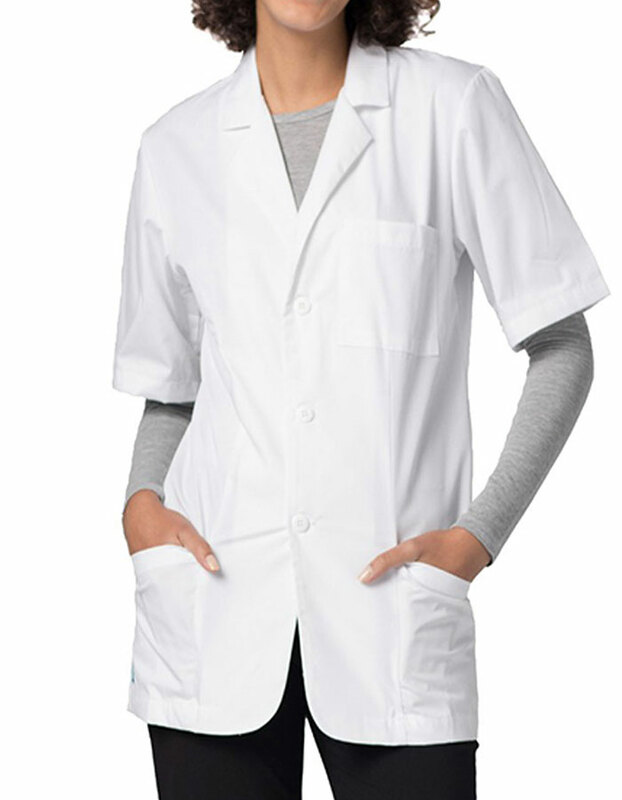 With three front buttons, breast and angled lower pockets, back midriff detail and reinforced stitching, the lab coat is great for everyday workwear needs. Inseam Tall approximately 34" .